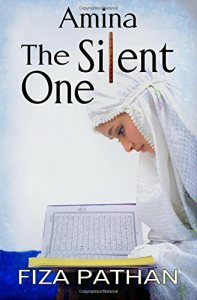 Review of my latest book “Amina: The Silent One”. Reviewed by Sheri Hoyte for Reader Views. Article first published as Book Review: ‘Amina: The Silent One’ by Fiza Pathan on Blogcritics. “Amina: The Silent One” by Fiza Pathan tells a haunting tale of the degradation and inhumane treatment of women in India today. Though the story is fiction, the bitter realities behind the narrative cannot be ignored.